THE UAE on Thursday announced it will honour Prime Minister Narendra Modi with the prestigious Zayed Medal for playing a “pivotal role” in giving a “big boost” to the bilateral strategic ties. President of the UAE Sheikh Khalifa bin Zayed Al Nahyan made the announcement to confer the Prime Minister with the award, the highest decoration awarded to Kings, Presidents and Heads of States. “We have historical and comprehensive strategic ties with India, reinforced by the pivotal role of my dear friend, Prime Minister Narendra Modi, who gave these relations a big boost. In appreciation of his efforts, the UAE President grants him the Zayed Medal,” Crown Prince of Abu Dhabi Mohamed Bin Zayed tweeted. The Crown Prince, who is also the Deputy Supreme Commander of the UAE Armed Forces, said Modi played a key role in enhancing bilateral ties to the level of comprehensive strategic relations. “By granting our dear friend the Indian Prime Minister the Zayed Medal, we express our appreciation for his role and efforts in developing friendly relations and extending bridges of cooperation between the UAE and the Republic of India in various fields,” he said. The award comes in appreciation of Modi’s role in consolidating the long-standing friendship and joint strategic cooperation between the two countries, the Khaleej Times reported. “I am extremely happy to welcome the announcement of Order of Zayed for a great son of India Prime Minister Narendra Modi by His Highness Mohamed Bin Zayed,” the External Affairs Minister Sushma Swaraj tweeted. She said the prestigious award was bestowed on Modi in recognition of his “stellar role” in ushering in a new era of strategic partnership with the UAE and the “best ever” relations with the Islamic world. “On behalf of the people of India, I express our deep sense of gratitude to His Highness the President, His Highness the Crown Prince of UAE for this great honour. With this, you have honoured India and the people of India,” Swaraj said. Modi visited the UAE for the second time as Prime Minister in February last year and held wide-ranging talks with the Crown Prince. After their talks, the two sides signed five agreements related to energy sector, railways, manpower and financial services. The Prime Minister’s first visit to the UAE took place in August 2015. 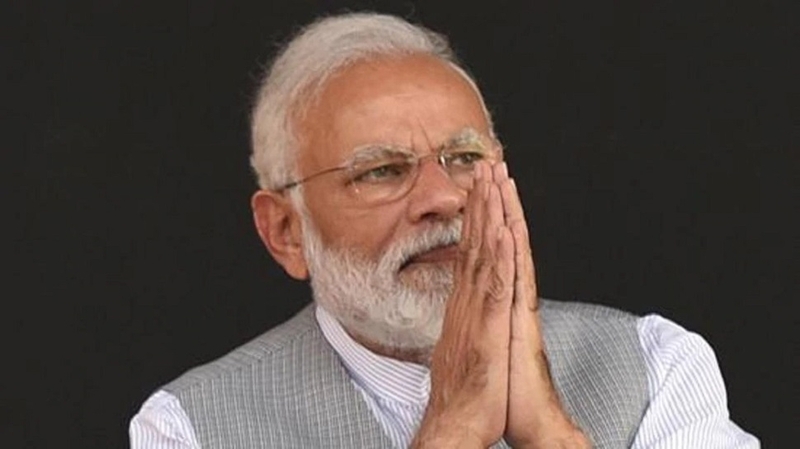 In February, the Crown Prince telephoned Modi and his Pakistani counterpart Imran Khan as part of his efforts to de-escalate Indo-Pak tensions in the wake of the Pulwama terror attack claimed by the Pakistan-based Jaish-e-Mohammed terror group which killed forty CRPF personnel. Accept it with honour and humility, says Modi: PRIME Minister Narendra Modi on Thursday said he accepts the prestigious ‘Order of Zayed’ conferred on him by the United Arab Emirates with utmost humility. “Thank you, Your Highness Mohamed bin Zayed Al Nahyan. I accept this honour with utmost humility. Under your visionary leadership, our strategic ties have reached new heights. This friendship is contributing to the peace and prosperity of our people and planet,” he said in response to UAE Crown Prince of Abu Dhabi, Mohamed bin Zayed Al Nahyan’s tweet. India welcomes UAE’s decision to confer Order of Zayed on Modi: INDIA on Thursday welcomed the UAE’s announcement to confer its highest civilian award -- the Order of Zayed -- on Prime Minister Narendra Modi, saying it is a recognition of his leadership to develop strategic ties between the two countries. External Affairs Ministry Spokesperson Raveesh Kumar said that India “greatly” appreciated this honour bestowed on Modi.